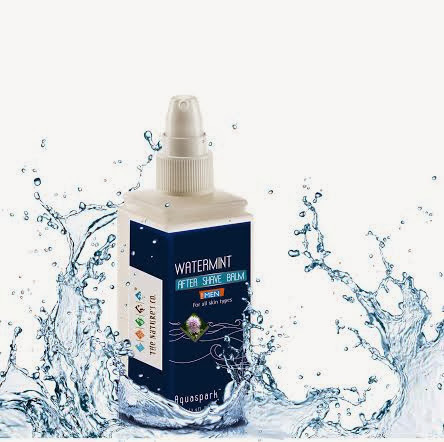 Indian Beauty Blog | Fashion | Lifestyle | Makeup | SparkleWithSurabhi : 19th November, International Men’s Day special launch Watermint After Shave Balm. 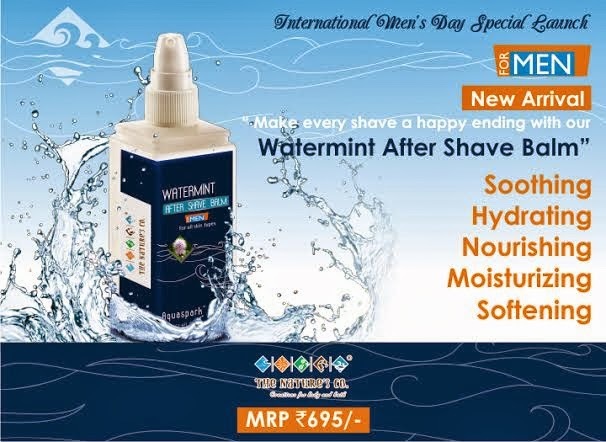 19th November, International Men’s Day special launch Watermint After Shave Balm. The Nature’s Co.’s tribute to International Men’s Day Celebrations - Watermint After Shave Balm: A happy ending to every shave! Tommorrow is International Mens Day, 19th of November and the newest addition to join The Nature’s Co. sophisticated men's grooming line is the Watermint After Shave Balm. The Nature’s Co. has perfected the shaving experience with benefit-driven men's After Shave Balm, enriched with the goodness of Mint, which is known for its cool and refreshing properties making the best fit for post shave care. The Watermint After Shave Balm takes into consideration the specific requirements of male skin to provide a simple and effective grooming routine aimed at stimulating the senses, helping to awaken, refresh and re-energize the skin and to maintain a positive outlook. Using carefully selected natural ingredients, herbal extracts and pure essential oils, The Nature’s Co. has successfully crafted this aftershave designed to intensely calm and cool even the most sensitive skin leaving you with the freshest of post shave feels. No man, wants to deal with post shave agitation, soreness and irritation and the Watermint After Shave Balm is devoted to ridding your skin of such problems, as the creamy, but non-greasy solution forms a perfect antidote. Available in a 100ml bottle, priced at Rs. 695/- . It can also be applied at night to moisturize, softening skin and beard for a gentler shave the following morning. Bid a fond farewell to annoying and hard to manage facial hair with a little help from the experts. Work with The Nature’s Co. Watermint After Shave Balm in your very own male grooming battle and be sure to come up triumphant! Shop No S-12(b), 2nd floor, Plot No. A-3, Select CITYWALK, District Centre, Saket, New Delhi - 110 017. Store LG007, Lower Ground floor, Infiniti Mall, Link Road, Malad (West), Mumbai-400064. Unit G-77, Ground floor, R City Mall, L. B. S. Marg, Ghatkopar (West), Mumbai-400086. Shop S-010, ground floor, South City Mall, 375, Prince Anwar Shah Road, Kolkata-700068. Unit No.F-38,1st Floor, Phoenix Market City, Viman Nagar, Pune – 411014. Unit G-08, Ground Floor, Phoenix Marketcity, Mahadevpura Post, Whitefield Road, Bangalore - 560048. Shop No. S-012, Ground floor, Express Avenue, 50L, Whites Road, Roypettah High Road, Chennai - 600 014. 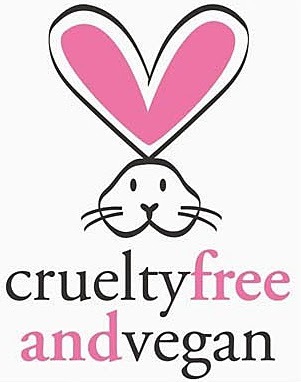 The Natures Co is a PETA Certified, 100% Vegan Company... so purchase guilt free!! Jewelry is a very lovable thing and everyone like to wear it especially women. I also like to wear different kind of jewelry. I am always looking for new trends. According to me latest jewelry trend is smaller necklace and colored stone jewelry and Celtic jewelery. Arti Mehra for M.L.A. - Vote for BJP this time!! Happy Hours at The Nature’s Co - It's Christmas! !